After lunch we wandered uptown to the Japanese Gardens. 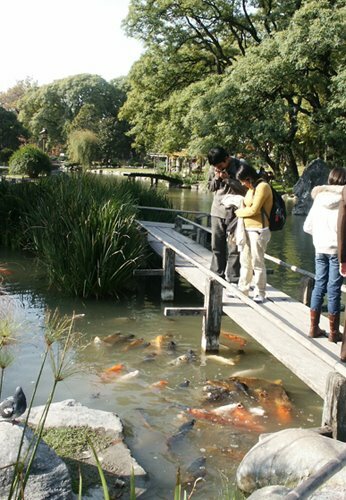 These were established in the late 1960s as a gift from Crown Prince Akihito and Princess Michiko. A nice oasis in an otherwise bustling part of the city. 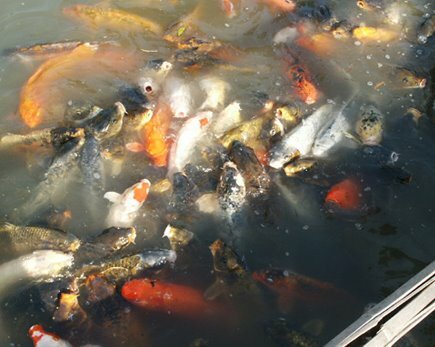 The koi are grotesquely overfed. Reminiscent of Marlon Brando in his later days.